One of NYC''s favorites. 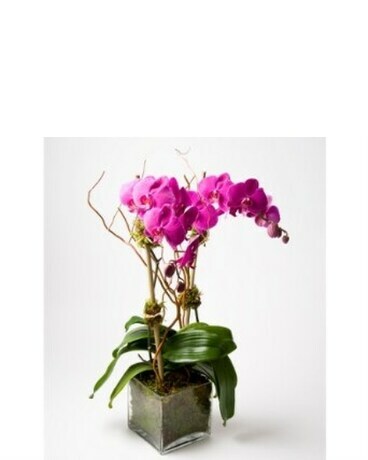 In fuchsia tones this spectacular Orchid plant will stick around for a great long time and with proper care re-bloom. Orchid care is very easy! Most orchids remain in bloom for four to twelve weeks, depending on care and the environment that they are in. Room temperature is fine and most indoor lighting is fine for an orchid to thrive. They only need very little water once a week. Complete care instructions are emailed upon request.